The 1930's was a period of slow growth, limited resources and the economic uncertainty of the Great Depression. 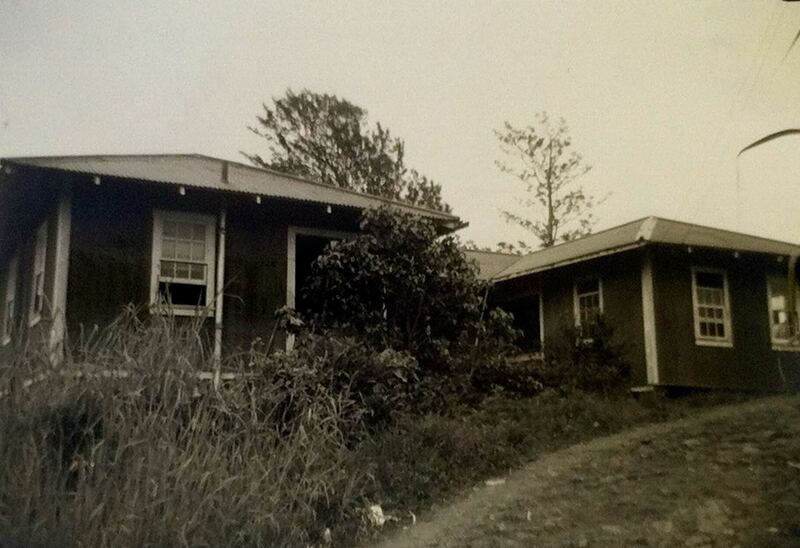 Only 9% of camp dwellings were built (tabulated from the insurance valuation files from the early to mid-1950s). 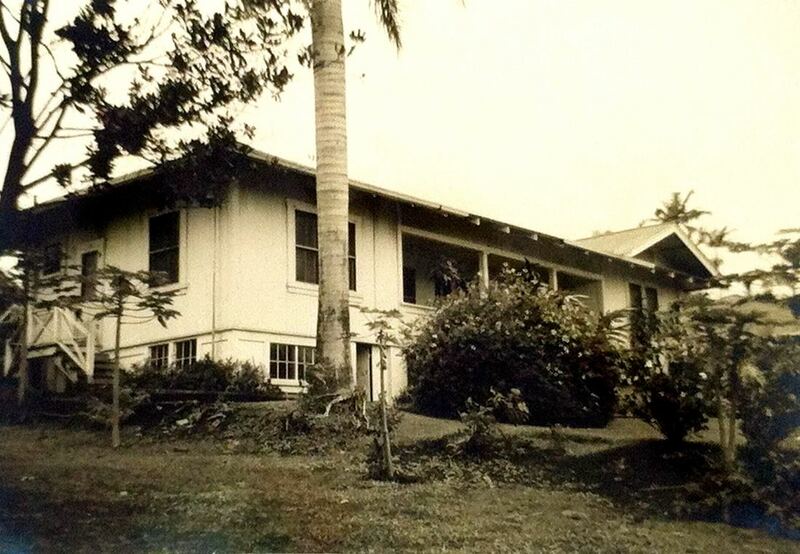 Other construction of this period included the bridge over Hakalau Stream (1930), a new hospital in Hakalau (1931), the Hakalau Theater (1931), and the new Hakalau Jodo Mission (1936). By mid-decade, there were more workers than productive work available to be performed, forcing the plantation to reduce hours to keep workers employed. By 1937, amid allegation of outside agitators, the plantation was faced with a shortage of workers. In addition, the implementation of the Fair Labor Standards Act of 1938, part of the New Deal, adopted an eight-hour day and a forty-hour workweek and, therefore, meant that more workers needed to be hired. The increase in workers with their families meant that housing became a more urgent need, although there were inadequate resources available to speed the process along. 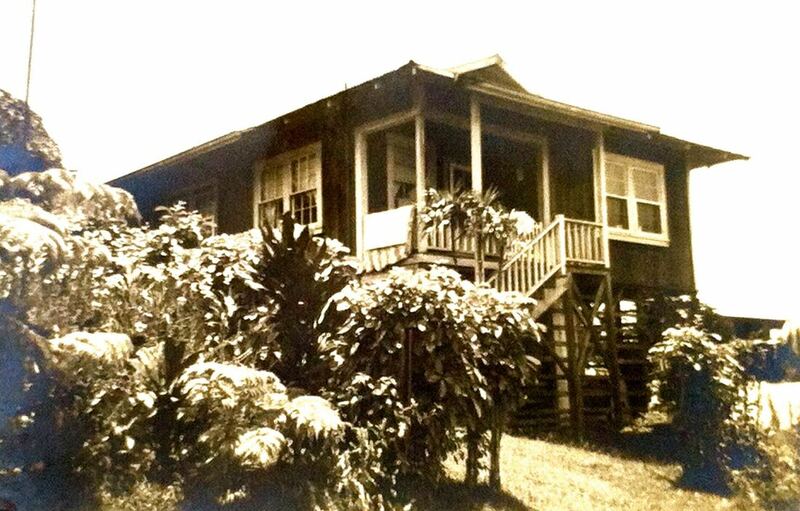 Included in this detailed timeline of the 1930s are excerpts from the annual reports sent to C. Brewer by John M. Ross, manager, Hakalau Plantation Company. John M. Ross played a prominent roll at Hakalau, serving as head overseer from 1884-1905, manager from 1905-1942. Annual reports provided courtesy of the Edmund Olson Trust Archive. ​Plantation Buildings: We were fortunate to get along without erecting any new buildings for the year. Roads and Trails: The fourth section of the Kamaee-Uma-Uma Road, authorized by the Board of Directors, is not more than half completed, on account of extremely wet weather. This work could not be satisfactorily carried out and remains to be completed this year. Labor: I am pleased to report labor conditions were satisfactory throughout the year. At no time did we experience a shortage, rather a surplus. And I wish to record my thanks and appreciation for the spirit of co-operation, loyalty and efficient service The Company has had from our employees. Factory: It is a pleasure to report your factory is doing efficient work. We are particularly proud to have recaptured the Brewer Efficiency Shield, which we lost by a narrow margin in 1929. Thanks and congratulations are due all those who are responsible for the enviable record. In conclusion….While the year just closed can in no sense be called a successful one, we have much to be thankful for, and while the dawn of 1931 is clouded, I feel sure your entire organization will co-operate in an endeavor to make ends meet. Bridge over Hakalau Stream, built 1930. Photo from the Waichi Ouye Collection, courtesy of his family. Old Mamalahoa Highway down into Hakalau Gulch. 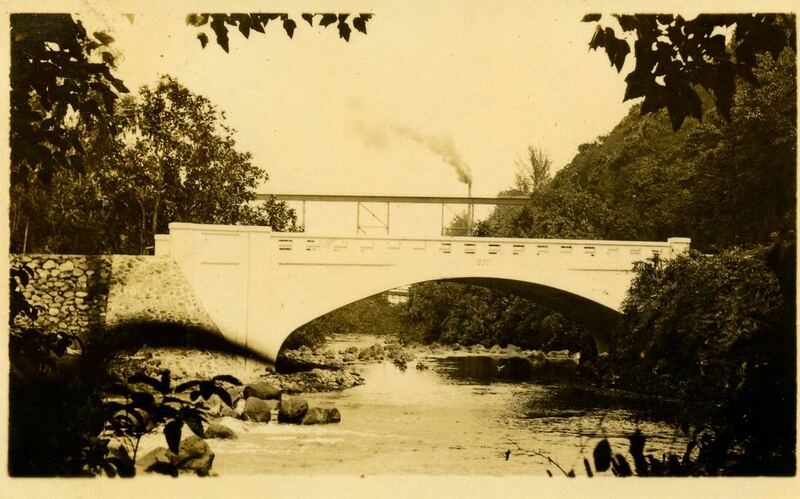 circa 1930--see bridge in lower right quadrant. Photo provided by Emi Uemura, from Bishop Museum. ​Plantation Buildings: This account was unusually large this year because of the erection of our new hospital and laundry, nurses’ cottage, doctor’s dwelling and cottage for one of the office employees. Roads and Trails: We completed the fourth section of the Kamaee-Uma-Uma road, a distance of 4,209 feet; also, 250 feet of roads around the hospital. New Hospital: The new hospital was opened for patients on July 20, 1931. It is amply commodious for our needs and it is excellently equipped. We also have a large laundry and vegetable garden. The grounds are attractively laid out to shrubs, flowers, plants and lawn. During the five-month period we took care of 238 patients, or a daily average of nine. Labor: Labor was plentiful throughout the year, and we wish to record our thanks and appreciation to them for loyal and efficient service throughout. In conclusion…One year ago we had fond hopes that the worst was past. We were sadly disappointed. We can only hope and carry on as efficiently and economically as humanly possible. 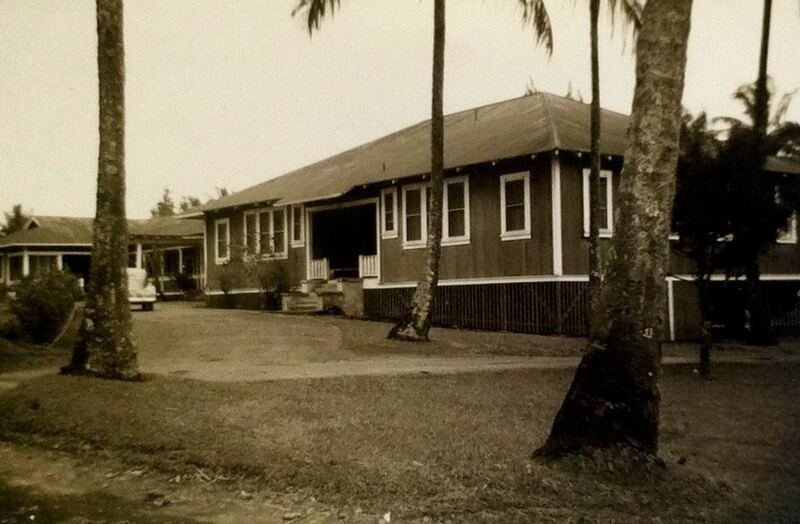 Hakalau Hospital opened for patients July 20, 1931, closed December 31, 1948. Hakalau Upper Camp House #115 built 1931 for the plantation physician. ​Mill Buildings and Machinery: The principal items to this account authorized by budget were top and one bottom Krajewski crusher cast steel shells and shafts, reshelling one bottom roller on old shaft and one 32x60 top roll shell and shaft. Due to breakdowns, emergency repairs necessitated reshelling two 32x60 inch and two 32x66 inch rollers and one new shaft. Plantation Buildings: We made no expenditures to this account. Roads and Trails: The fifth section of the Kamaee-Uma-Uma Road, 3265 feet of 12-foot width, was completed. This section was started in 1931. Bridges: One new bridge was erected over the Kamaee Stream for the further extension of the Kamaee-Hakalau Road. This bridge is of 30 foot span, 10 feet wide. Labor: Labor was plentiful throughout the year and we wish at this time to tender them our thanks for loyal and efficient service rendered. ​Mill Buildings and Machinery: Building upkeep was small, the principal item being a new roof over the filler press house. The principal [machinery] items consisted of reshelling two rollers; one 32-inch by 66 –inch top roller and one 32-inchd by 60-inch bottom roller. We purchased three steel roller pinions and one second-hand engine to drive centrifugals when there is a shortage of water power. We added two additional sets of coils in Number 2 and 3 low-grade vacuum pans. Plantation Buildings: No new buildings were erected; small sundry additions and alterations to existing buildings sum it up. Roads and Trails: We completed the first section of the Kamaee Road between the Kamaee and Waa Waa gulches, a distance of 4,373-1/2 feet of 12 foot road. We also constructed 992 feet of 12-foot roads leading into different fields. We built no new trails, but all existing trails and roads had the usual attention and upkeep. Bridges: We built one of 34-foot span, 10 feet wide, covered bridge, with abutment, over the Waa Waa stream. Flumes and Trestles: We built 3,512 feet of “V” flumes, 1 inch by 14 inches by 16 feet with 1 inch by 6 inch sides, leading to different fields. 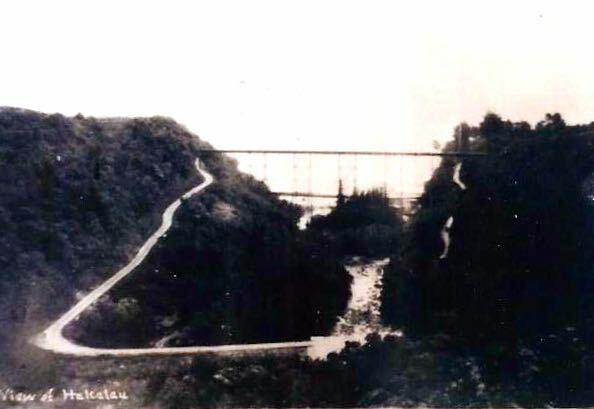 Two trestles were renewed; one at Nanue, 280 feet long by 65 feet high, and one at Waikamalo, 192 feet long by 40 feet high. All existing flumes and trestles had the usual extensive overhauling and repairs. Labor: Labor was so abundant throughout the year that, at times, it was difficult, if not impossible, to find really remunerative work for them. We did our best in their interest to keep all upon our payrolls without discharging anyone; working on a five-day week for those with families and a three, but mostly four-day week, for single men, having no encumbrances such as infirm parents. We received loyal and faithful services from them all, for which we are grateful and herewith tender them our thanks. ​Mill Buildings and Machinery: We kept costs to these accounts as low as prudence would dictate. The mill building “outside” was entirely painted, and considerable iron roofing replaced. The principal [machinery] items were six new “40” centrifugals and three cast steel pinions; together with putting three new shells on three old roller shafts and one old shell on a new roller shaft. Plantation Buildings: We built no new buildings but several bedrooms were added to existing cottages where accommodations for increasing families required them. Roads and Trails: We completed the second section of the Kamaee-Waa Waa Road, a distance of 5,612 feet, which now completes this circular road from Hakalau to Honohina, crossing over the intervening land, at about 1,200 foot elevation. This is a long-felt want accomplished. Into this section we built two new steel bridges which we are very well pleased with, and regret we had not thought of steel bridges years ago instead of wood. Labor: As in the previous year, labor was greater than our requirement. We did our best in their interest, viz: not discharging surplus but placing them on a short week—single men, four days; married men, five days—and we thank them for loyal and efficient service and hearty co-operation with us in what was a trying situation to us both. ​Mill Building and Machinery: Our expenditures for these accounts are greater than for several years. We replaced six old evaporator cells with two new cells of four and five thousand square feet of heating surface, respectively, and these are now operating as first and second cells. The pre-evaporator and the first cell are now operating as the third and fourth cells. This gives us quadruple installation of 15,000 square feet of heating surface. We replaced our old plate and frame filter presses with an 8 feet by 12 feet Goslin-Wright vacuum filter. We also installed the necessary vacuum and juice pumps, rearranged the old condenser to fit in with the new evaporator and filter stations. We purchased one Rolex screen and cyclone, all in conjunction with the new filter systation. We rearranged the cyrstalizer station, placing all our crystallizers on the ground or basement floor, discarding four old crystallizers. This gives us considerably more room and much more light on the first and second floors. The above improvements, together with the almost complete renewing and replacing of practically all air, juice, steam and syrup pipe lines, takes care of the boiling house improvements for the year. In the crushing department we installed two machine-cut, heavy-duty steel gears and one steel pinion for driving the pull gear bed which was badly cracked. We reshelled two 32-1/2 inches by 60 inches top and bottom rolls and purchased one 32-1/2 inches by 66 inches bottom roll complete and one shaft only for 32-1/2 inches by 66 inches shell. We have completed the installation of a system of stationary cooling coils in six crystallizers. We still have six more in which to install these coils. We also purchased one Leeds and Northrup pH recorder complete. All of these alterations, improvements and additions had the approval of the Board of Directors and our Honolulu agents. Plantation Buildings: The expenditures for this account were not very heavy. During the year we built three individual bathrooms, added three bedrooms to small cottages and rebuilt two cottages with lumber from old ones dismantled. Labor: We had a surplus of labor throughout the year and in order to spread the work without discharging men we were compelled to resort to the short term system. In order to carry out this scheme it was necessary to put some labor on non-productive work. We feel, however, that this spreading of the work has accomplished its result and for the patience and co-operation of our laborers we express our appreciation. ​Mill Building and Machinery: The expenditures for this account were comparatively small, due to the shortness of the shutdown period, allowing only enough time for a general overhauling. Plantation Buildings: Additions to this account consisted of one cottage for assistant engineer, five three-bedroom cottages in villages, and store building and warehouse at Honohina. Labor: To all of our employees we tender our thanks for their loyal and efficient services throughout the year. ​Mill Building and Machinery: Our repairs, additions, replacements and alterations were somewhat more extensive than during previous years. Our mill is in satisfactory condition for this year’s campaign. Plantation Buildings: We built in various villages three halls or club houses, two two-bedroom cottages, three three bedroom cottages, together with extensive repairs and additions of a bedroom or kitchen here and there as family needs increased. Our building program is getting more extensive year by year. Labor: We were short of labor throughout the year and turnout was very unsatisfactory. Local and mainland agitators were and are responsible for this unrest. A great majority of our men are loyal and faithful, and we tender them our thanks for labor under very adverse circumstances. Conclusion: For the future and for sometime to come we will have to face heavy expenditures for housing on account of the eight-hour law, requiring more men and every-increasing families who need larger and more modern accommodations. 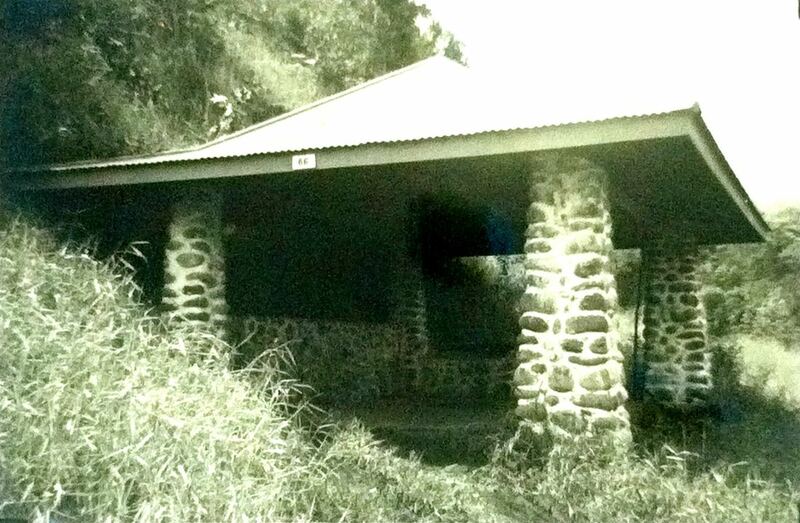 Kamaee Mauka Scout Pavillion, building #66, built 1937? ​Mill Buildings and Machinery: The usual additions, replacements, alterations and general overhauling had our attention and the factory starts the year’s campaign in a satisfactory condition. Nine houses were furnished with private baths and toilets. We built one 3-car garage and on 1-car garage for skilled employees; also an addition of a 45’x45’ new wing to hospital for much-needed clinic space. In addition to the forgoing we made many sundry repairs that cannot be enumerated. Roads and Trails: We widened 5880 feet of 6-foot trails to a 9-foot road so as to permit us to truck over same. We built 234 feet of 9-foot road into some of our villages. We resurfaced 7862 feet of 9-foot road with asphaltum. Labor: We again tender thanks to our labor for loyal and faithful services throughout the year. Conclusion: The housing program we had mapped out for ourselves has been very much curtailed but our needs are not being overlooked. In this we will be governed by our financial condition as in all other improvements of a major nature. 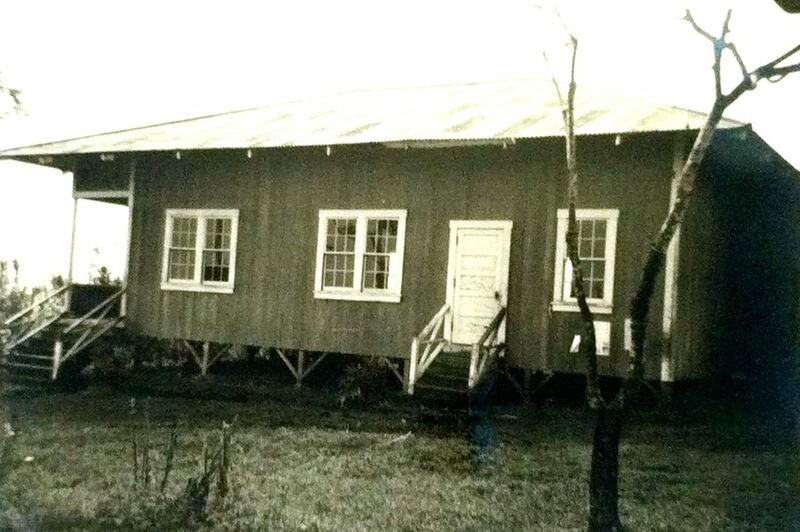 Hakalau Lower Camp house #235, built 1938. 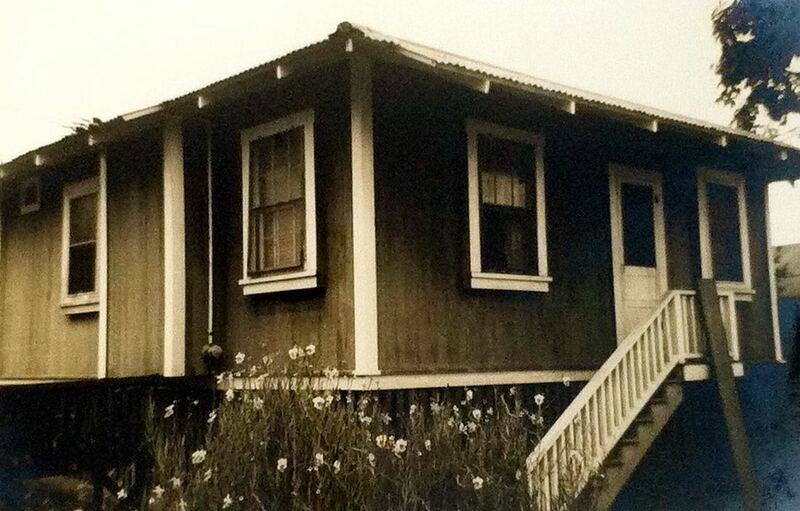 Wailea Store Camp House #350, built 1938. Chin Chuck Stable Camp house #437, built 1938. ​Mill Buildings and Machinery: The buildings had the usual repairs and painting. The machinery, while not so extensive in new equipment, much was done in the way of replacing and rearranging in efforts to consolidate the same for more compact supervision and operation, all to the end of economizing on labor and which we have succeeded in doing. Plantation Buildings: We had no new buildings for the year, but the usual extensive repairs and additions of a bedroom, kitchen or bath and so forth. Roads and Trails: We built on the Honohina Section 3000 feet of 12-ft. macadam road. This has been a great help in transportation of men, seed, fertilizer and flume boxes. We also completed the asphalting of the main Honohina Road as authorized by you. Conclusion: Our housing program is still in abeyance, but not overlooked, and we will, as in the past, be governed by our financial conditions as in all other improvements with due care that our fiscal needs are not unduly impaired.